Bangalo with 04 rooms, located in Malawi condominium, with private pool, living room, dining room and outbuilding. It houses up to 10 people. 1. floor: 01 master suite with double bed and 02 rooms with bathroom available for the bedrooms. Ground floor: 01 suite, living room, dining room, fully equipped kitchen, service room and service area. Air conditioning split and TV in all rooms, shower hot and cold water, kitchen with microwave, blender, freezer, electric stove 2 burners, refrigerator, set of pots, crockery, glasses and other utensils. Stay includes daily maid service and maid service. 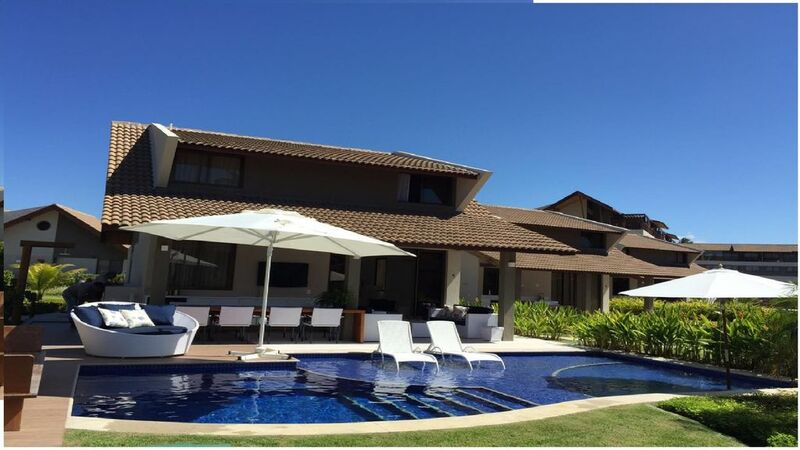 The bungalow has private outdoor area with private pool, with chairs, umbrella, Barbecue and chuveirão. The Malawi Muro Alto Beach Houses condominium has a wonderful swimming pool (adult and children), another lap pool, sauna, gym, tennis courts, sports court, playground, playground, games room, restaurant and parking.